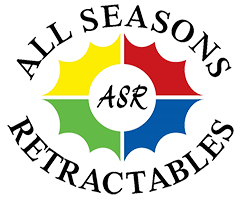 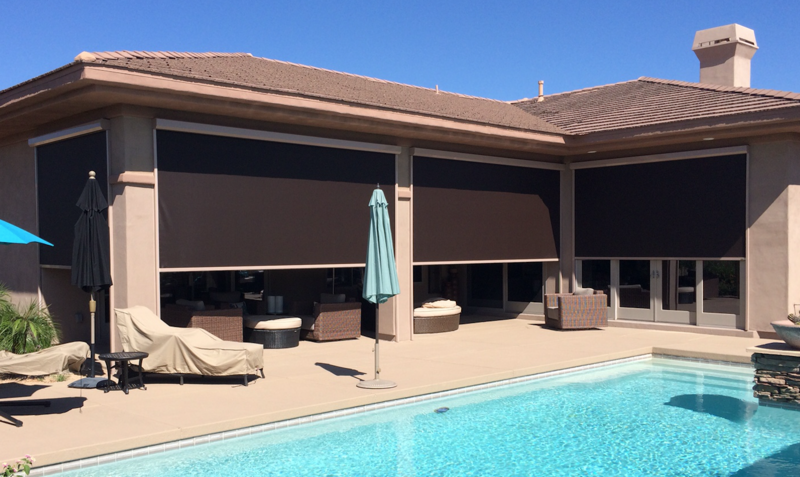 Fabric densities range from Standard Bug Screen to Total Blackout to Acrylic Awning and Marine Fabric with ‘Plastic’ windows. 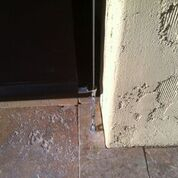 ‘ZIPPER’ tracks close off the area completely and the hem bar has felt at the bottom to close off from bugs and critters. 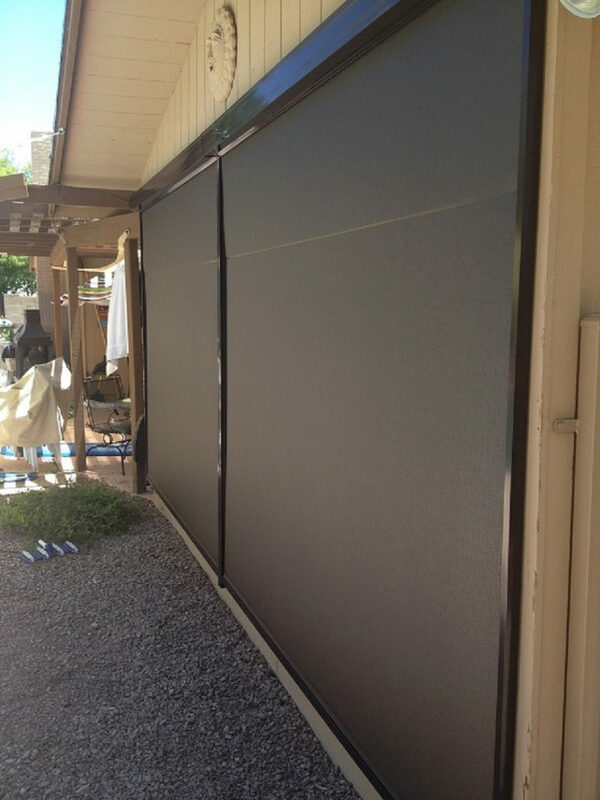 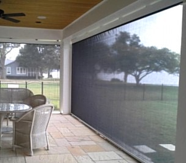 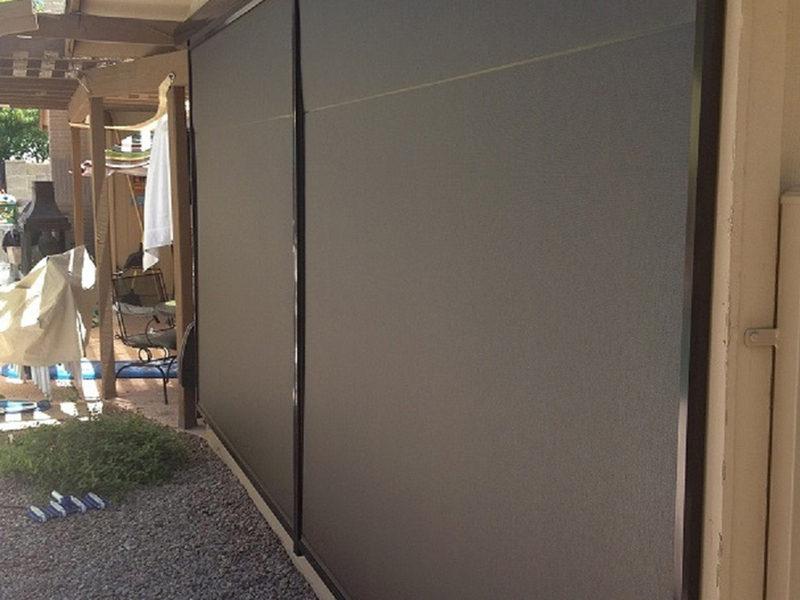 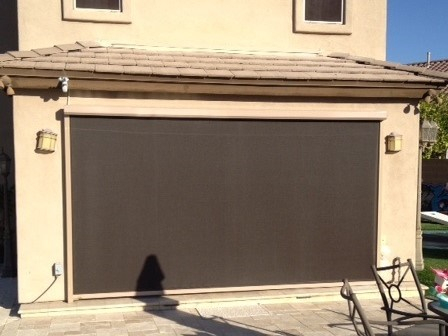 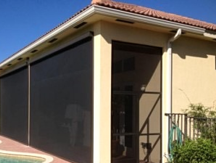 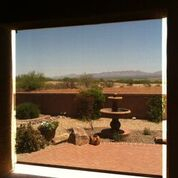 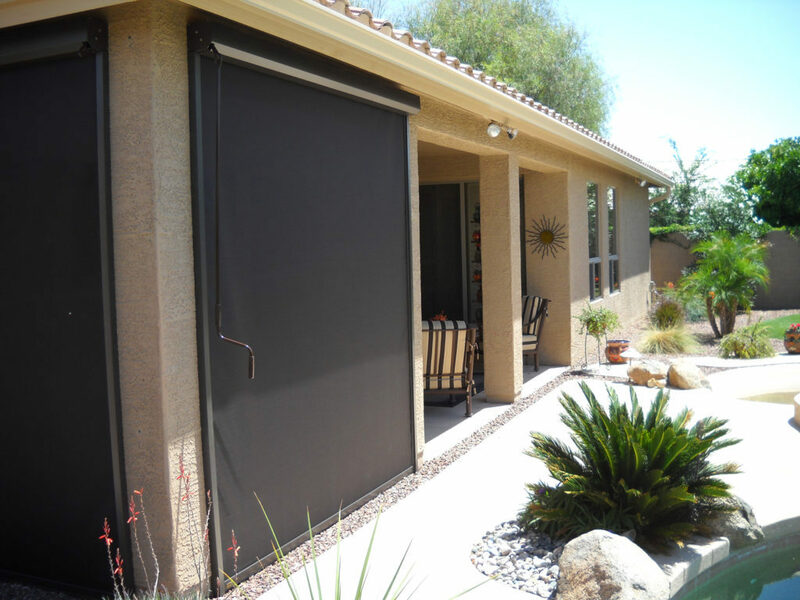 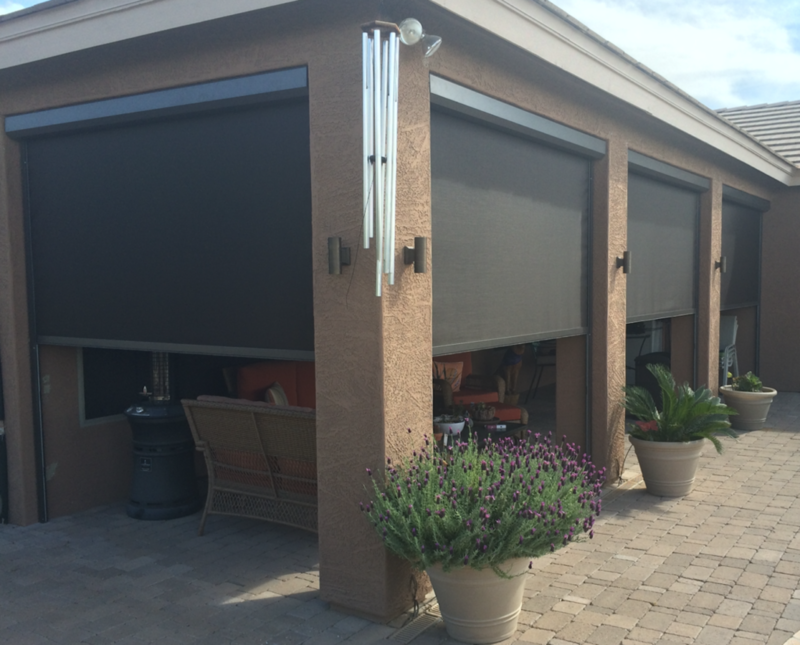 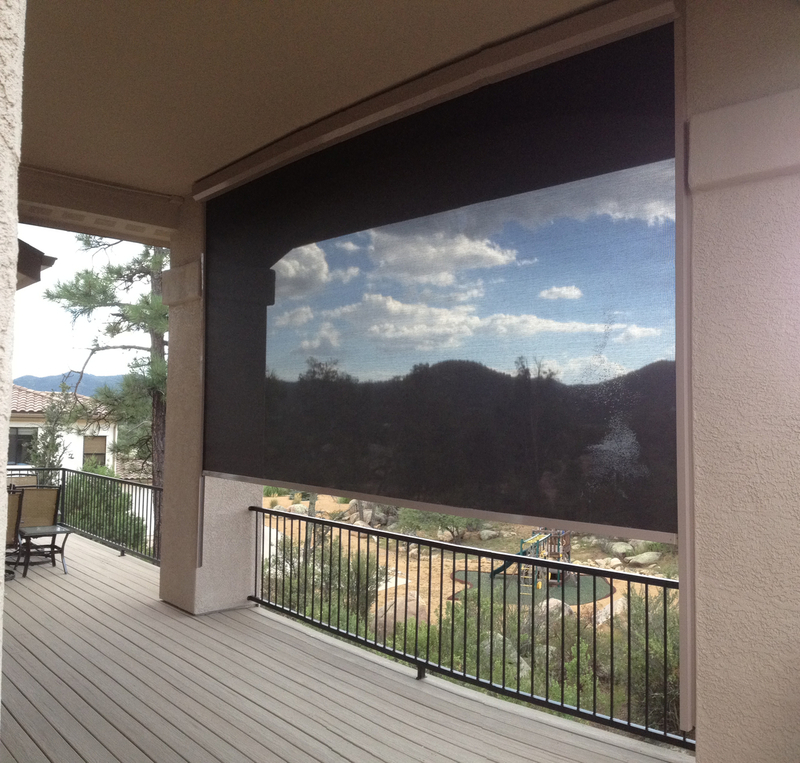 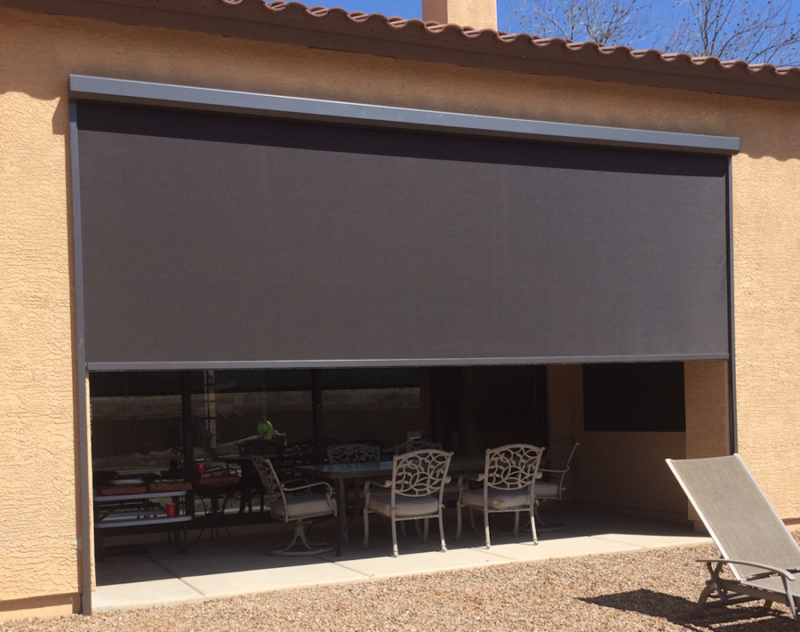 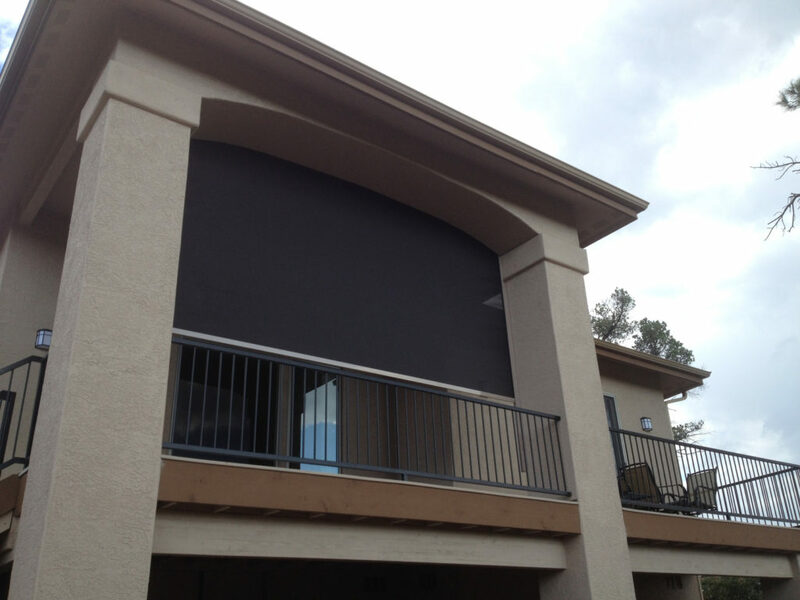 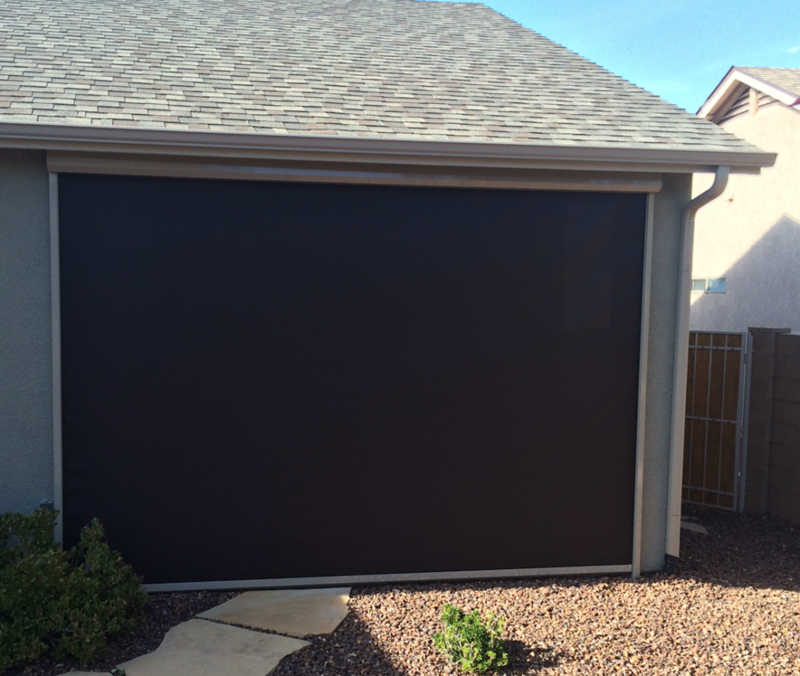 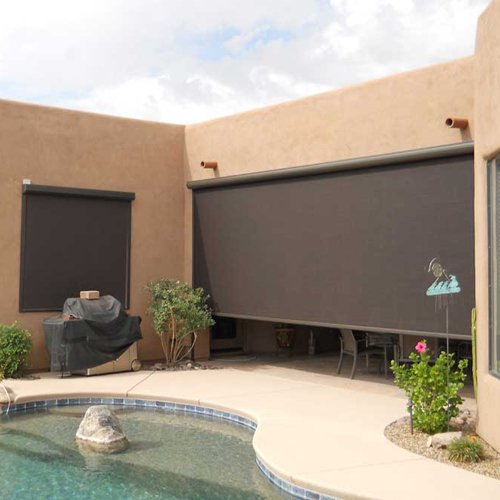 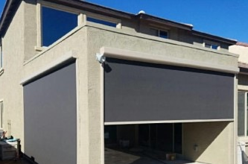 A 95% blockage screen is the normal patio drop screen making you 9-11 degrees cooler behind the screen fabric and yet your view is virtually unobstructed. 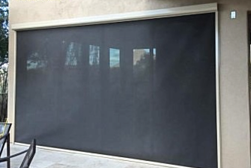 Our extruded hem bar used on the standard drop screen and the ‘zipper’ screens have a heated seam with a spline in the bottom to be drawn onto the hem bar. 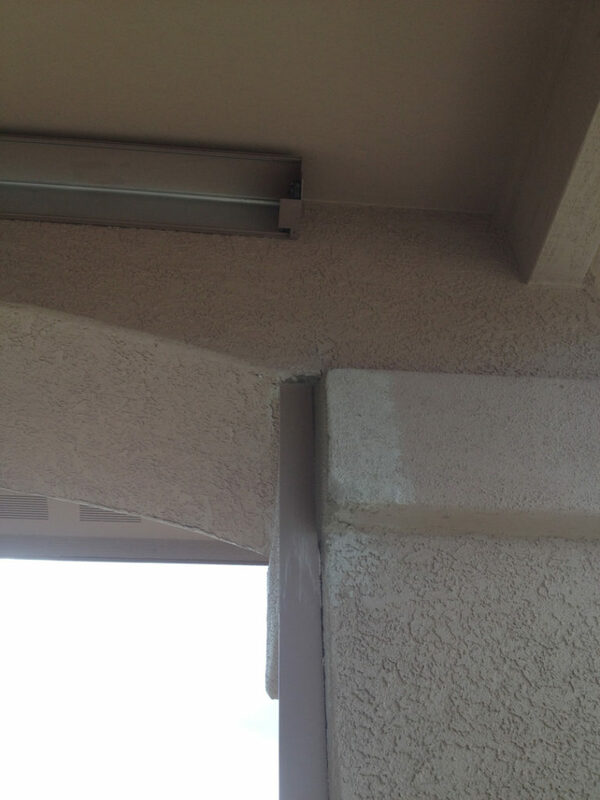 Competitors still using a pipe hem bar have to shoot a screw into the bottom of the screen into the pipe to keep it from shifting in the wind. 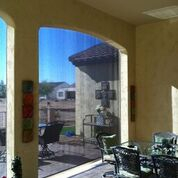 Longevity is very limited when you put a screw into screen fabric. 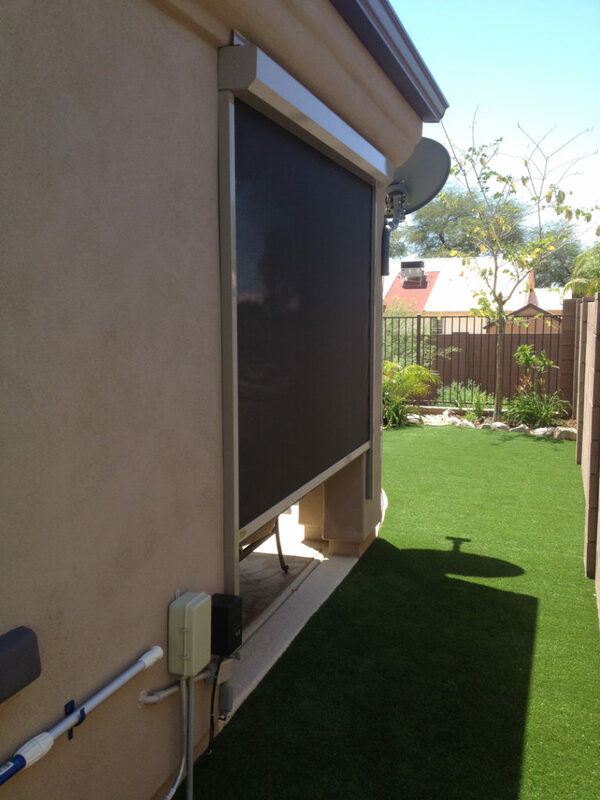 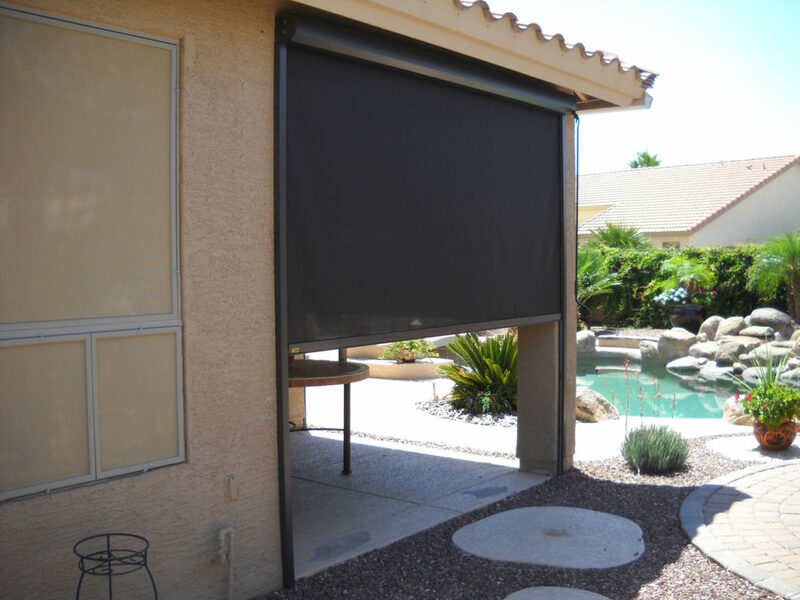 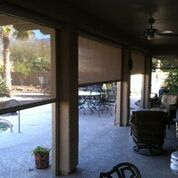 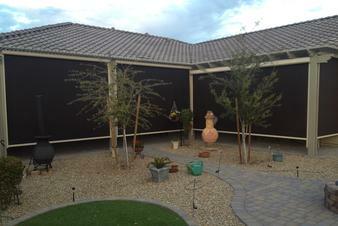 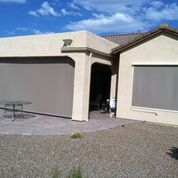 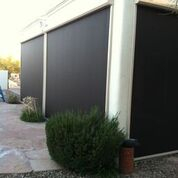 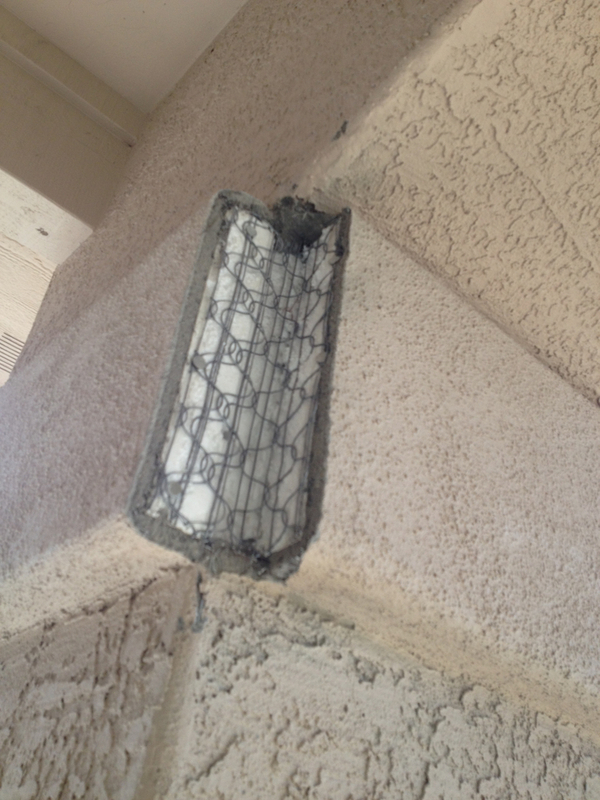 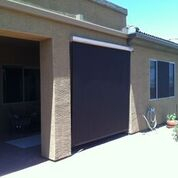 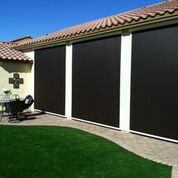 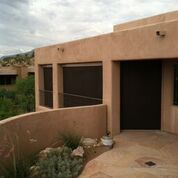 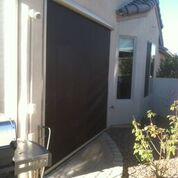 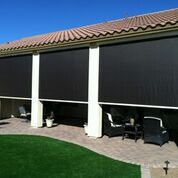 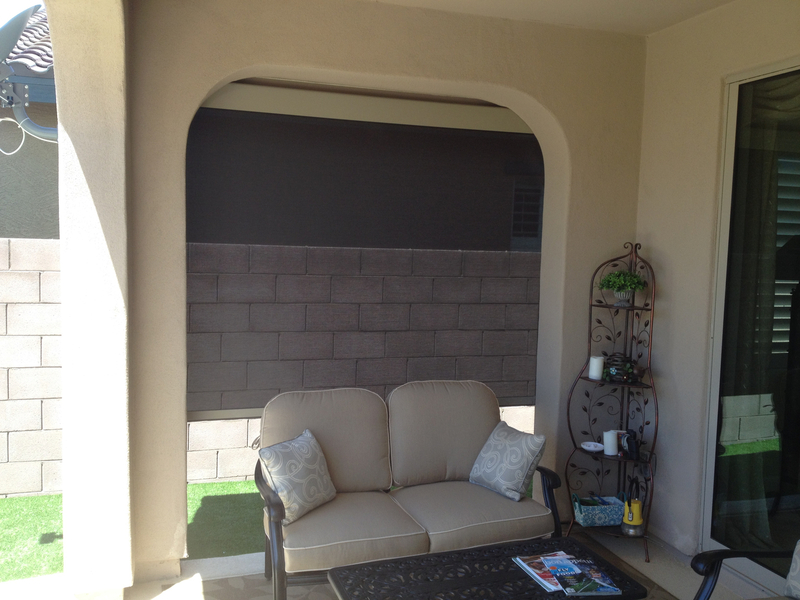 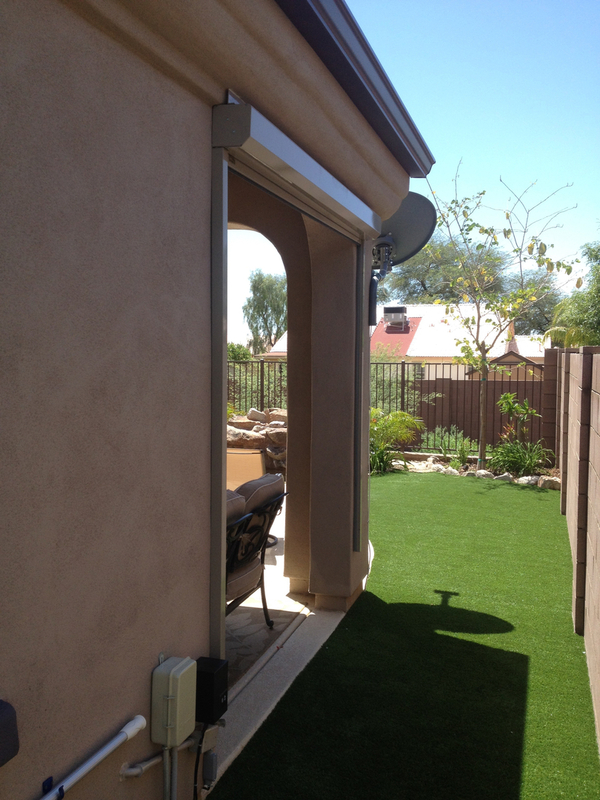 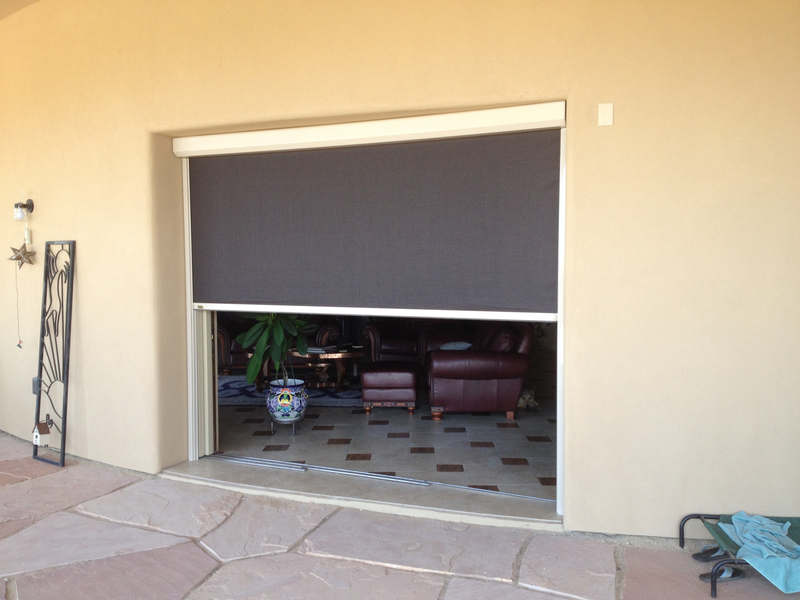 You can mount the Drop Screens on the inside area of the patio or the outside with or without a cover box. 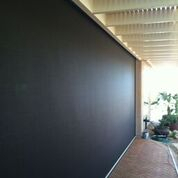 We do the custom work needed to cut into ‘pop-outs’ to insert the track level with the column. 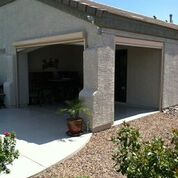 Call Today for a free in-home, no obligation estimate to solve your problems.